The Stampin'Up new holiday catalog starts September 5 and this is one of the stamp sets you could get. The stamp set is called Wishing You Well. 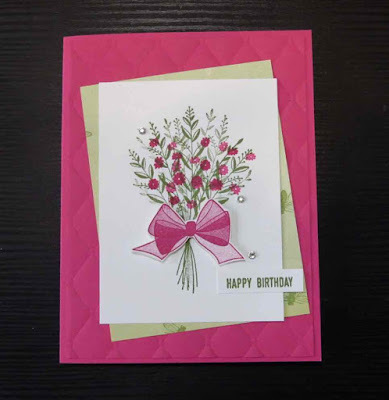 It's a distinktive stamp set which means the stamp creates different opacities with a single stamped image. 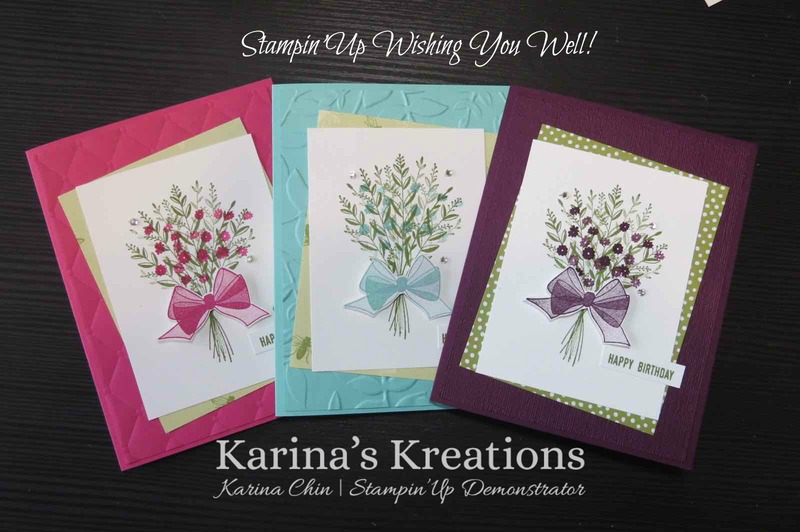 The card stock colors are Melon Mambo, Costal Cabana and Blackberry Bliss. 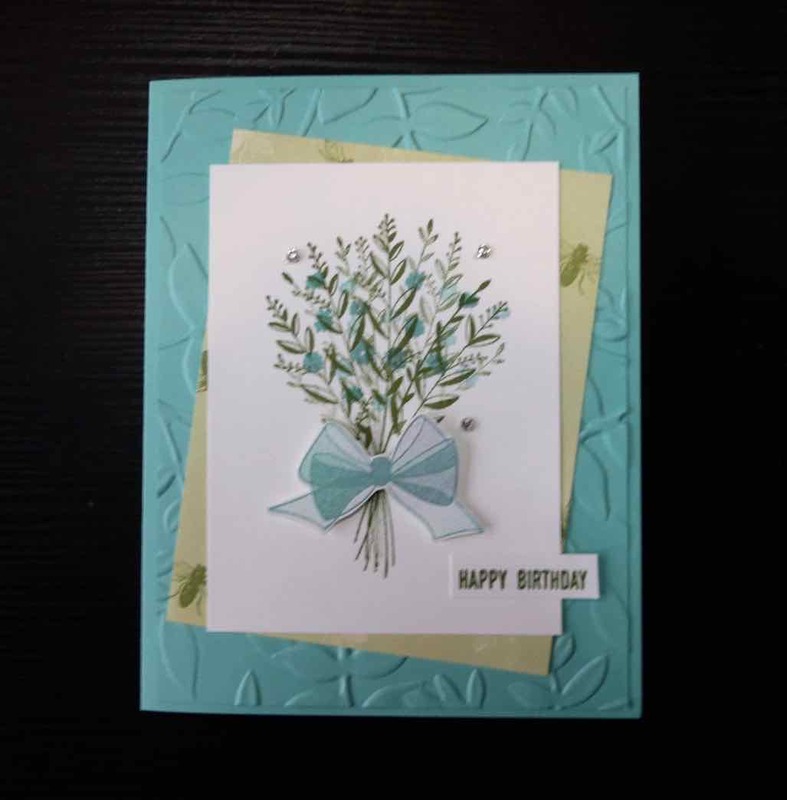 I used three different embossing folders on each card, Tufted, Subtle and Layered Leaves. 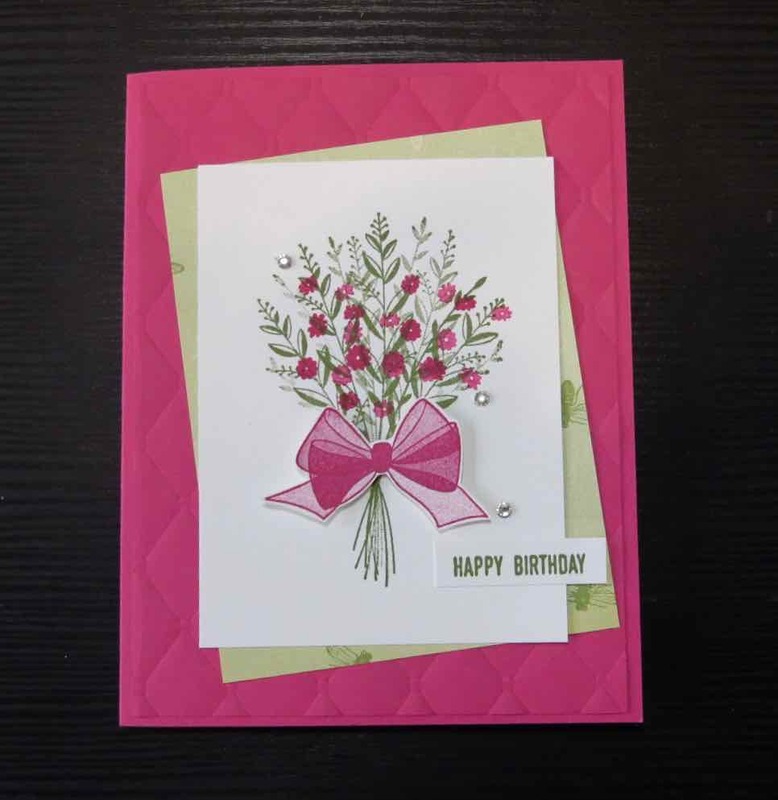 This is the Tufted embossing folder! 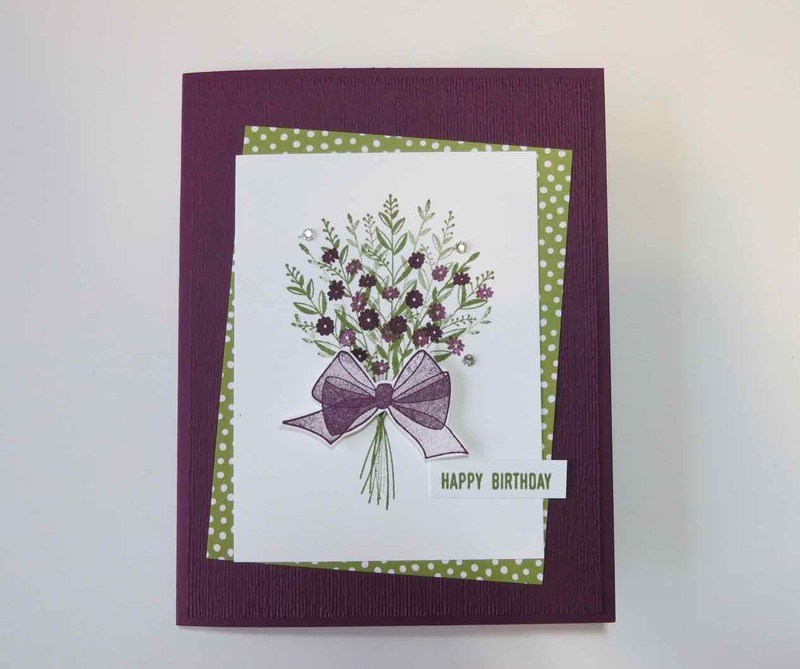 This is the Subtle embossing folder! This is the Layered Leaves embossing folder! Here's a basic supply list for the cards. Click on a picture below to go to my stamping store.